This is a challenge that is sure to please future firefighters. 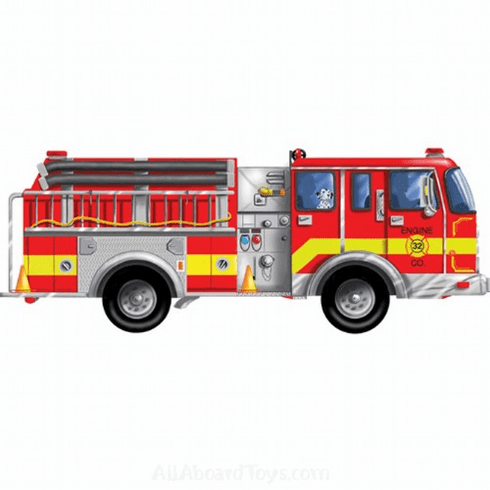 This bold and colorful floor puzzle contains 24 jumbo extra-thick cardboard pieces that snap easily into place to create a high quality, yet simple picture of a fire truck ready for the alarm. This large, imaginative puzzle with an easy-clean surface has a finished layout of approximately 4 feet long.